Sentio® is a new innovative detection system offering a unique solution for protection of humans and assets in underground environments. Every day, millions of people worldwide use underground infrastructure such as subway systems or road tunnels. When a fire develops underground, the situation can rapidly become very dangerous! 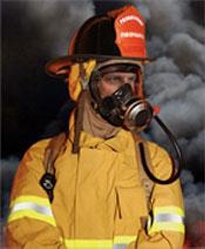 Up to today, protecting underground environments against fire has been proven difficult. High air flows, moisture, dirt - underground conditions are often tough. The Sentio® system consists of extremely sensitive sensors, originally designed for the aerospace industry. Now developed to endure tough underground environments, the Sentio® sensors have the ability to detect fire related gases and fuel leakage. This facilitates early detection of fire incidents as well as the suppression of known disturbances such as exhaust fumes from diesel engines. Sentio® is developed by Firefly AB in Sweden - one of the world’s leading supplier of fire and explosion protection systems for the process industries.